Music at Oakhurst is chosen with an eye to the mission and ministry of the church to our congregation, our immediate community, and our world. As we worship God, we strive to provide a place for the variety of musical talents of our young people as well as our adult members. On any given Sunday you may hear choral anthems from the classical repertory, or gospel music ranging from traditional to contemporary; you may hear familiar church hymns accompanied by the organ, or songs and hymns from all over the world accompanied by drums, small percussion, or guitars. 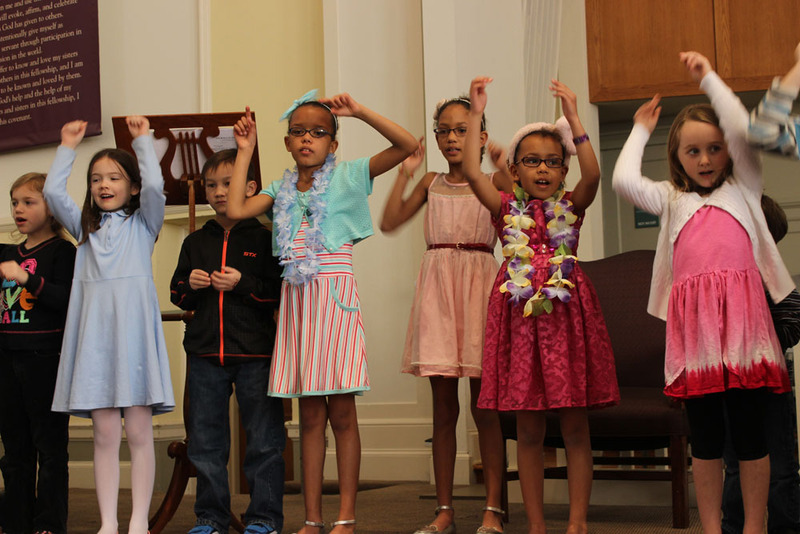 In our Children’s Choir, the children are taught songs and rhythms from a wide range of cultures, and they lead us in worship two or three times a year. 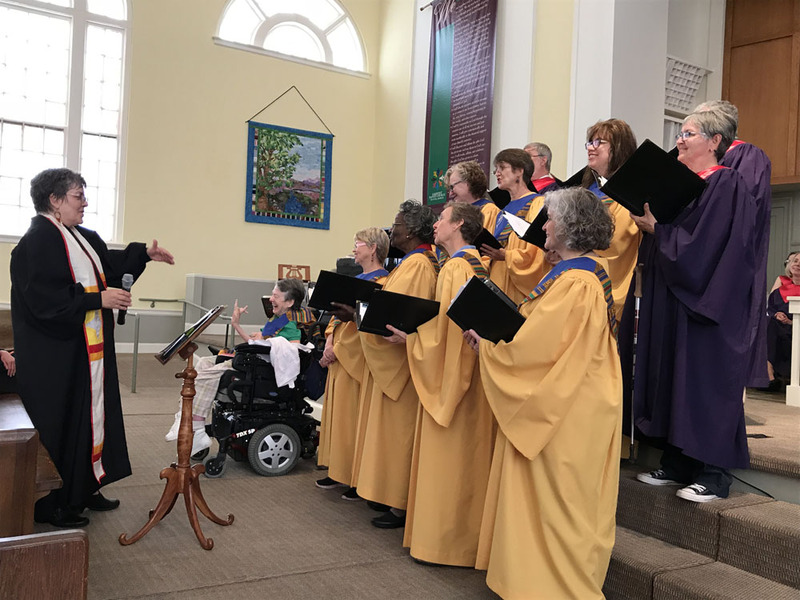 Our adult choirs, the Sanctuary Choir and the Gospel Choir, provide the choral music for each Sunday, as well as on special Sundays; for example, Lessons and Carols in the Advent/Christmas season, and the year-end Choir Sunday in May or June. Occasionally all three choirs join forces for a special anthem or choral work. And our newly-formed Vocal Improvisation Ensemble explores improvising in a small group setting, with shared leadership. Children’s Choir: 9:15 a.m. – 9:45 a.m. Gospel Choir: 1:00 p.m. – 2:00 p.m. 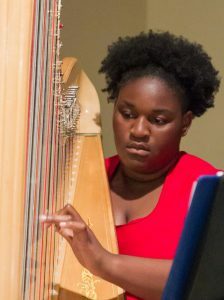 Sanctuary Choir: 7:30 p.m. – 9:30 p.m.
Vocal Improv Ensemble: 6:30 p.m. – 7:30 p.m.